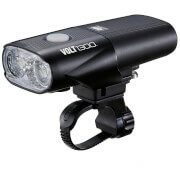 The Volt800 has quickly become the go-to light at CatEye, now that more rides happen after the sun goes down. Perfect for commuting or training, the Volt800 strikes the perfect balance between minimalism and functionality. Featuring 5 modes, a USB-rechargeable Li-ion cartridge battery and runtimes from 2 to 80 hours in a sleek, compact body, the Volt800 will become your favourite riding partner too. Click here for The Volt 800 Manual. use it for home work travel, works great on no light roads and can dim for city use!! Small and compact size. 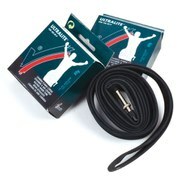 probikekit - best prices ever. Thank you. Volt 800 is great, free delivery outside UK! I already own a Volt 400 and thought that the highest mode would suffice during night rides but easily got caught out by its total lumen level so added this to make it my main light and what a difference it makes. Lights up the road ahead brilliantly. Charge time is good and burntime on the highest setting is ok. Now i have both no motorist should complain about not seeing my on the road. I've always used generic Chinese Cree type led lights and been fairly satisfied, but the Volt 800 is a big improvement.With a nice widish beam,solid mount and integrated battery (no dodgy connectors),this light just nails it.There are no street lights around here,but the lowest setting is more than adequate for lighting the way. Clip it off and it's a powerful torch,just the shot for chasing flying foxes off the banana trees. Great Value! Good even strong light. Good battery life and easy rechatge with usb. Good control of light modes even with gloves on. Compact, takes very little handlebar space. Full light mode is amazing. Highly recommend this product. For the price, the Volt 800 is a killer deal. This light is bright enough to keep you safe from traffic as well as light the path in front of you. This light has given me much more confidence while descending as speed. This light demonstrates the performance of 800 lumen. Easy to install and easy to charge. Buy at a good price. Great products and service. Worry free transaction. Good received within 10 days on free shipping option. Great light well priced and compact for such a powerful beam. 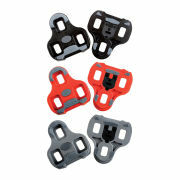 Easy to attach / detach. Pity it's got a cat head on it, but never mind.